Why all the small projects? Oh! That’s why. 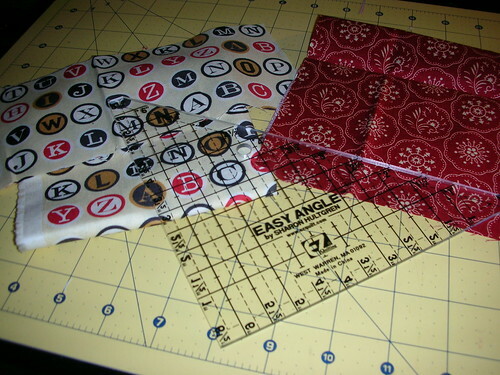 I’ve figured out why I’m making lots of little projects right now! 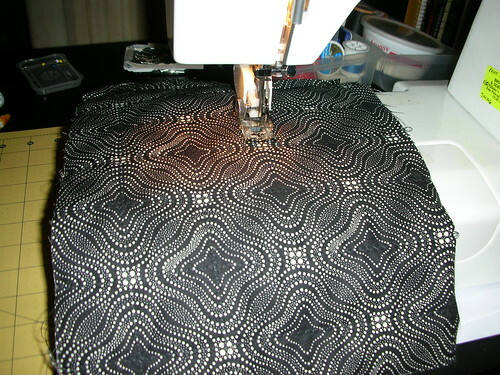 It’s because the next thing I have to do on the Mixtape quilt is actually quilt it, and I’m a bit nervous about that. It doesn’t help that I filled five bobbins with what I thought was the white thread I’ll be quilting with before realizing that it was off-white. Ooops. 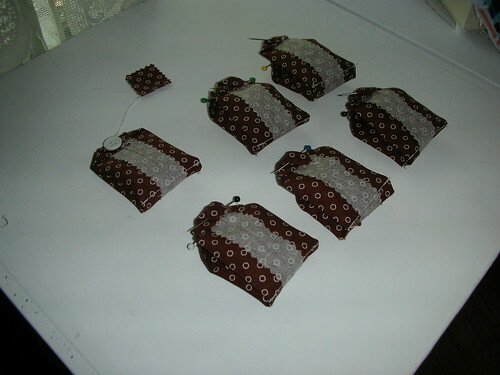 In the meantime, on Monday I made two little pouches, following instructions cadged together from a couple of tutorials, one of which is the Box Pouch Tutorial by The Plaid Scottie. It has fantastic instructions and pictures, and is very, very clear. I didn’t have any interfacing, so I quilted together two layers of fabric and some batting, as I saw in another tutorial whose link I have unfortunately now completely lost track of. The first one I made is not quite what I was going for. 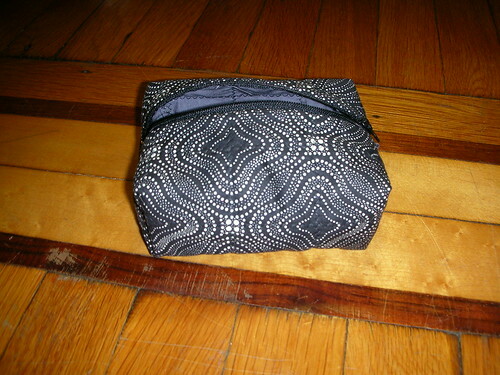 Unfortunately, I didn’t look at the tutorial to see which way to fold the corners, so instead of being a little box, this is a little flat pouch. Oooops. It’s still kind of cute, though. The lining is a fat quarter from my local fabric shop’s bin, and the outside is Cosmo Cricket’s Circa 1934 Garbo, in cream. 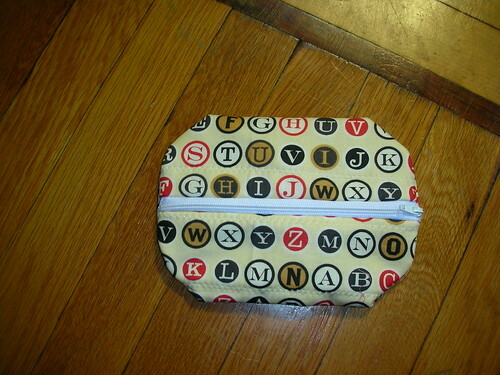 I love the way this fabric looks, all typewriter keys and subdued colors and red. I really like the way the pattern of it looks, and I’m a lot happier with this little pouch than I was with the little flat one. Finally, there’s a new button on the sidebar! 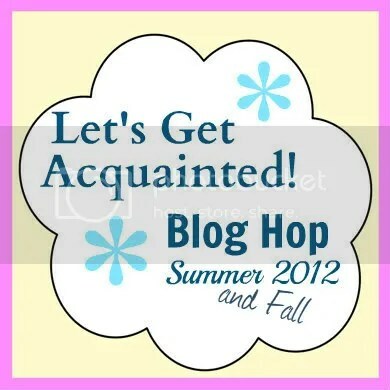 I’ve joined the Let’s Get Acquainted Blog Hop! It’s a great idea, organized by Plum and June where lots of new quilting bloggers introduce themselves to each other / anyone who chooses to tune in, according to a master schedule. So go take a look! It’s going on from now until November — there are tons of us, apparently!